We love Windows 8! But we love it even more that we can play Angry Birds Space with our business intelligence data! Bet you can’t do that with your business intelligence tools. 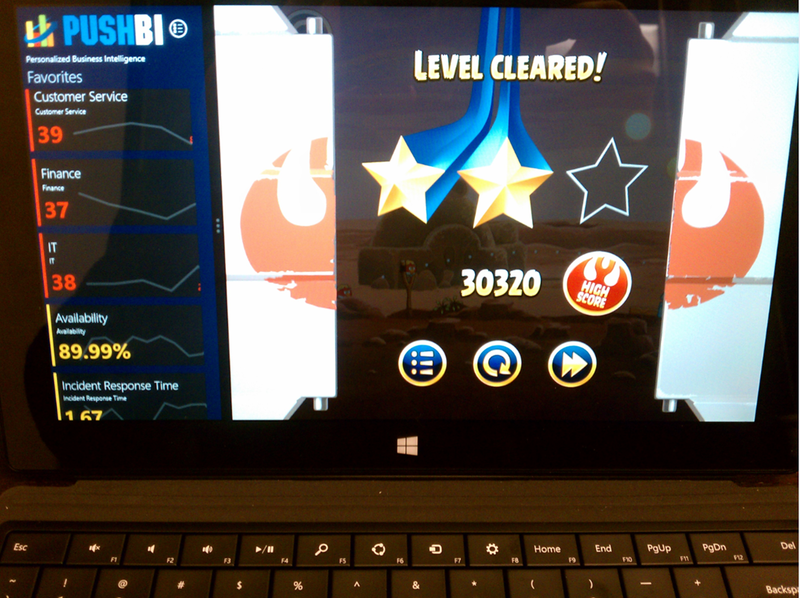 If you want to do it, jump over to the Windows 8 App Store to download a copy of PUSHBI and Angry Birds and get cracking. Great post ! It is really helpful for me. Great post ! It is really helpful for me. I only played this game on winbdows 7 yet but i try to play this game on windows 8 now.